With a new and shiny port to welcome guests to the area, Colon, Panama is becoming a more and more popular stop along many Western Caribbean cruises. It is not a wonder considering that one of the most impressive engineering feats ever constructed, the Panama Canal, is found near here, treating visitors to an experience found literally nowhere else. But, for those aboard family cruises or guests traveling with small children, port activities can seem limited here. However, that is not the case as there are many things to do in Colon Panama that kids will love including taking in the sights and sounds of the nearby rainforest and taking in a little history too. Colon Panama tours around the area can take guests young and old on a journey through unspoiled landscapes and high above exotic terrains safely and even teach them a thing or two as well. 1. Aerial Tram: For about five hours, guests can revel in the awe inspiring environment around them aboard the Gamboa Aerial Tram excursion, which slowly soars to and fro through the tree canopies. Over half of the wildlife found in the area lives in the safety and security of the canopy, well above the reach of the predators below. Guests can book these Colon Panama tours with their cruise lines or independently, however the tour encompasses a good portion of the available time in port. It is essentially an all day event, but a decent one for families traveling with small children that are not able to take advantage of intense jungle tours or other rainforest activities. 2. Frogs and Snakes: There is little doubt that seeing a wide variety of unique animals is sure to please any young ones that guests aboard cruises to Panama may have in tow. However, interacting with some of the more dangerous denizens of the rainforest in their natural habitat is probably best reserved for adventure tours for adults only. 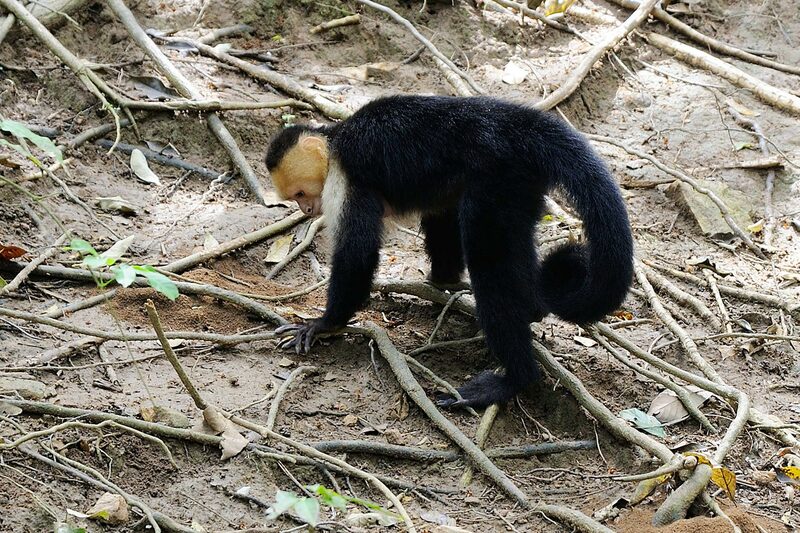 Luckily, there are Colon Panama tours available that pit stop at two locations designed to let little ones get up close and personal (but not TOO up close and personal) with some of the more exotic residents of the rainforest including frogs and snakes. An exhibit dedicated to the hoppy amphibians is a sure little people pleaser, and a stop at the serpentarium cannot be missed for anyone looking to add a little excitement to their Colon Panama tours. Snakes both with and without venomous properties can be viewed here, and they are a far cry from the grass dwelling mini snakes most kids are used to. 3. Gatun Locks: Whether first time tourists or seasoned veterans on a repeat trip to Central America, checking out the wondrous Gatun Locks is almost synonymous with visiting the area at all. Of all those in existence along the canal, the locks at Gatun are the biggest, and arguably the most impressive. Children will surely delight in the inner workings of the marvels of engineering and the history behind the area, and the locks themselves can be a fun and educational experience for everyone in your party. A great majority of Colon Panama tours make the canal and Gatun Locks part of the excursion, but all week long convenient daytime hours make visiting without booking Colon Panama tours just as easy. 4. Colon City Tour: City tours are popular for guests aboard Western Caribbean cruises because they provide a safe and secure way to get an all encompassing jaunt around the city with knowledgeable guides that add valuable information about an area and its peoples. The city of Colon Panama tours are ideal for guests traveling with children who want their little companions to experience the historical architecture and cultural centers without worrying as much about the fear of petty street crimes or getting lost on their own. Colon was named for Christopher Columbus, and a monument to the great explorer is visited on these tours, as well as beautiful cathedrals and coral hued buildings along the way. Guests who have already been on the city of Colon Panama tours may want to check out instead the picturesque seaside town of Portobelo, where Spanish ruins and a treasure house make the tours unique. 5. Railway Excursion: Train rides are exciting eco tours that afford guests the luxury and conveniences of a quiet and speedy mode of transport while still allowing them to traverse through the landscape sampling wildlife diversity and historical geographical features. The Panama Railway Excursion whisks guests from one ocean to the other, taking them from the cool blue waters of the Caribbean all the way to the Pacific and then back again in the same trip. The tour is perfect for little guests as the trains feature all the modern conveniences that a family traveling with children would need including restrooms and refreshments available for purchase, and highlights from the trip include passing by a Jungle prison and the Bridge of the Americas.